Create an escape for leisure, relaxation, and enjoyment. By taking our clients’ needs and wishes into account, Panache promises a gorgeous and functional space that you can enjoy at all hours of the day. 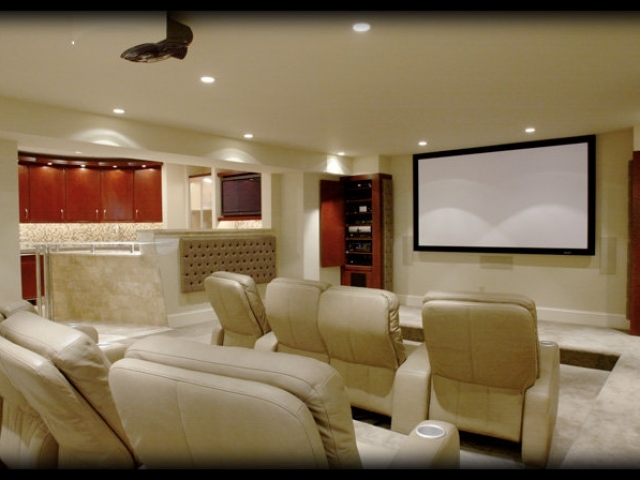 Because of the complexity involved in constructing a custom home theater, we and our designers assist the homeowner throughout the design and construction process. 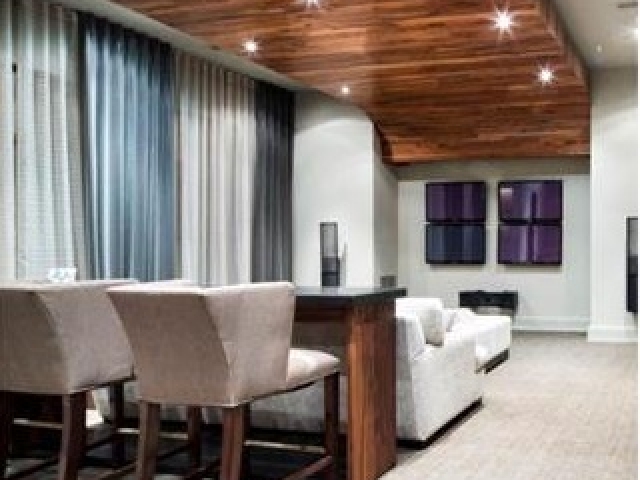 A soundproof room is of utmost importance in any home theater. A movie should not disturb those in other areas of the house, just as those in other areas of the house should not be able to disturb a movie. 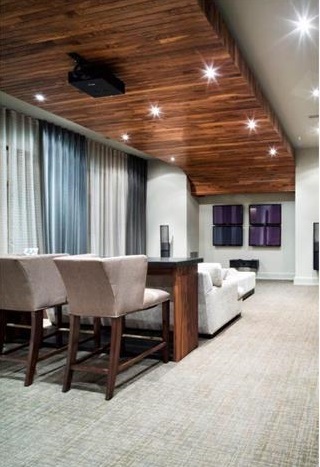 Sound dampening is as much an art as it is a science, and the designers and engineers at Panache take special care to create a sound-sealed room without unsightly acoustic panels strewn across the walls and ceiling. 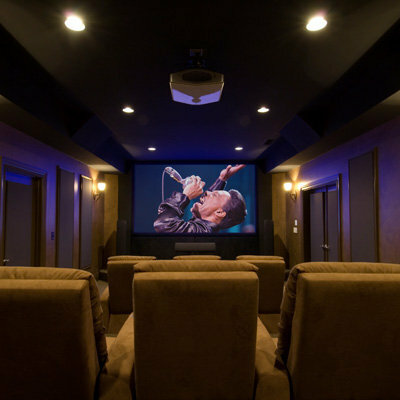 Zero sound transfer walls and insulating materials such as carpets and drapes are a stylish, effective alternative that will keep your home theater from looking like an industrial recording studio. 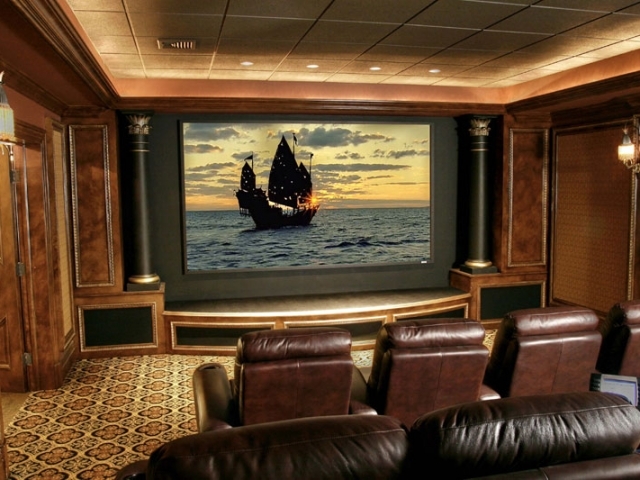 The visual aspect of the home theater is also a challenging and artistic process. The room must look beautiful when the lights are on and nearly vanish when the lights are off, leaving just enough light to move around safely without affecting the screen. 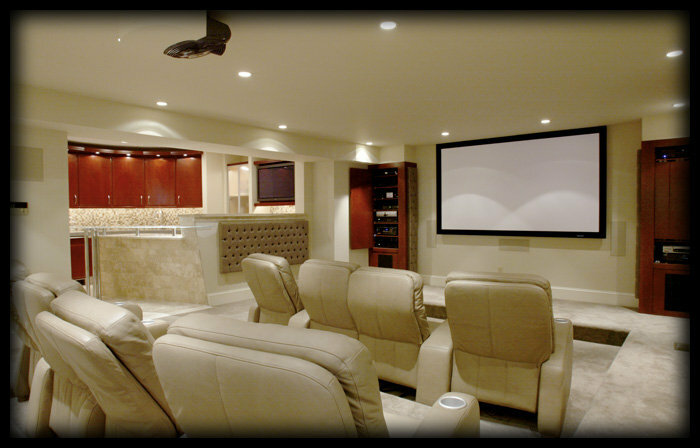 With high-efficiency dimming LEDs or low-profile recessed lighting, your home theater can be beautiful even when the lights are off. Decoration is where the homeowner can take full control. 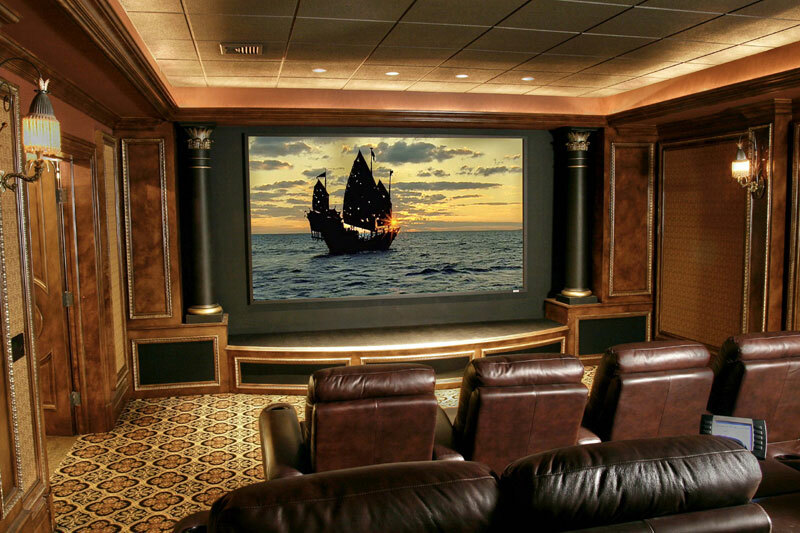 Panache suggests options for elements such as seating, flooring, coloring, and decor, and you have full power over what goes into your home theater. Some homeowners even opt for popcorn machines and walkway strip lighting to simulate the experience of a large movie theater, albeit with more comfortable chairs. 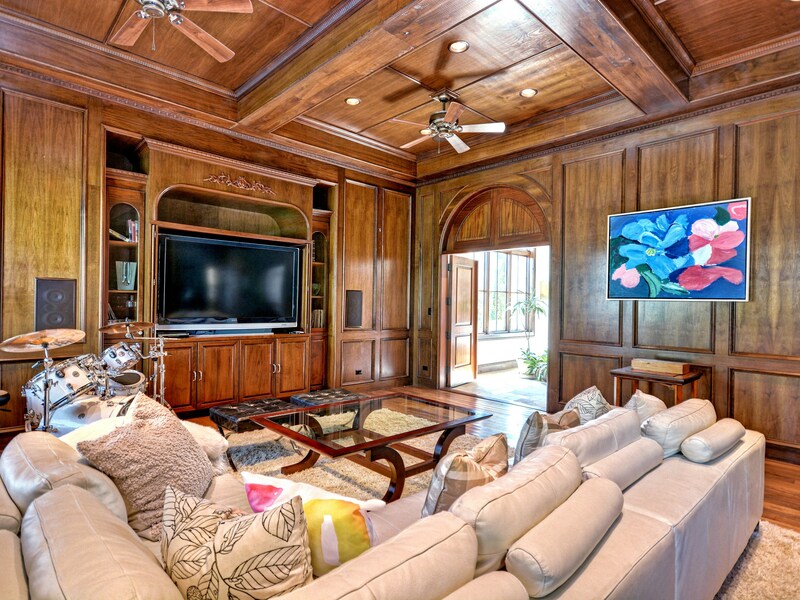 Panache is ready to take all your requests to build a home theater that exactly matches your vision. 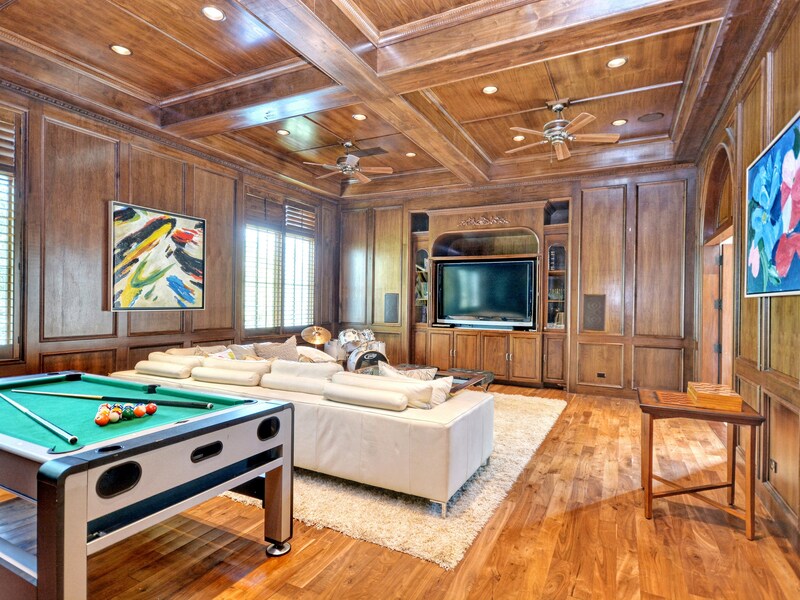 As with all of Panache’s projects, our custom home theaters use the most cutting-edge technology available. 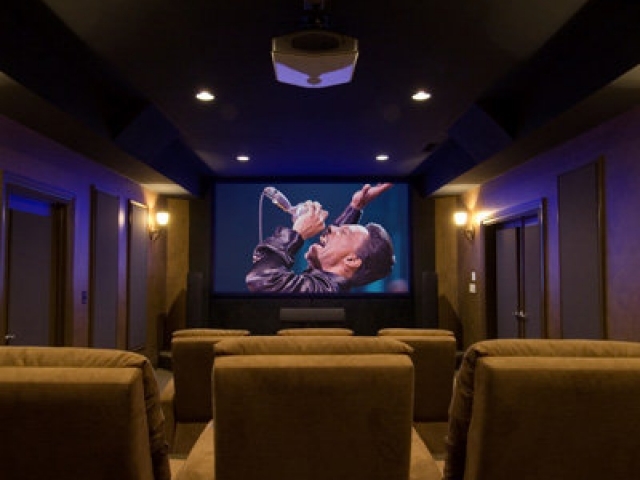 Full HD projector screens and meticulously crafted speaker systems connect to your smartphone, laptop, or tablet to give you complete control over how your theater looks, sounds, and behaves. 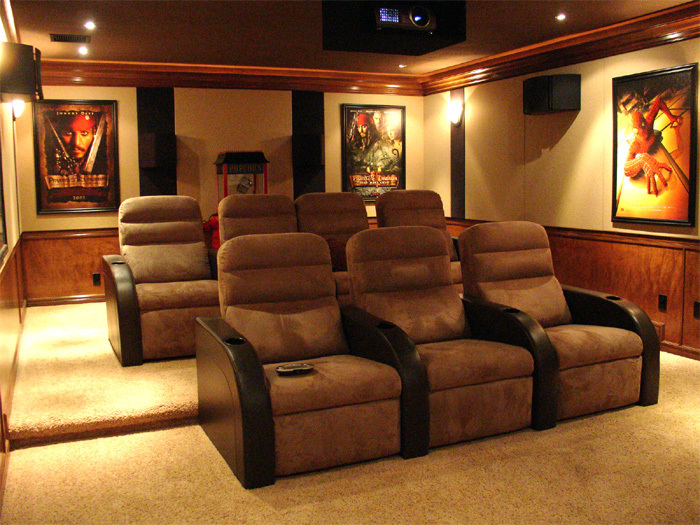 With advanced cabling systems and state-of-the-art electricity management, we promise to give you the most energy-efficient home theater possible so you can save some money while watching your favorite movies.